GE Healthcare (Chicago, IL, EUA) y la Sociedad Europea de Radiología (Viena, Austria) se asociarán para ofrecer sesiones conjuntas en inteligencia artificial (IA) en el próximo Congreso Europeo de Radiología (ECR) que se celebrará en Viena, Austria, del 27 de febrero al 3 de marzo de 2019. La asociación incluirá sesiones conjuntas sobre IA y un espacio dedicado en el stand de GE Healthcare donde los visitantes podrán experimentar la transformación de la IA a través de herramientas interactivas. GE Healthcare (Chicago, IL, EUA) colabora con proveedores de servicios hospitalarios en Europa y los EUA para implementar un centro de comando con inteligencia artificial (AI) para sincronizar de manera efectiva y eficiente todos los elementos de la experiencia hospitalaria de un paciente. El sistema que funciona por IA apoyará a los cuidadores para mejorar la seguridad de los pacientes, organizar la prestación ágil de atención y devolver a los pacientes a casa antes. GE Healthcare (Chicago, IL, USA) and the European Society of Radiology (Vienna, Austria) will be partnering on artificial intelligence (AI) for the upcoming European Congress of Radiology (ECR) to be held in Vienna, Austria on February 27-March 3, 2019. The partnership will include joint sessions on AI and a dedicated space at GE Healthcare’s booth where visitors will be able to experience the AI transformation through interactive tools. GE Healthcare is collaborating with hospital service providers in Europe and the US for implementing an artificial intelligence (AI)-powered command center to effectively and efficiently synchronize all elements of a patient's hospital experience. The AI-powered system will support caregivers to enhance patient safety, orchestrate seamless care delivery and get patients back home sooner. In line with a sweeping strategic reorganization, General Electric Company has announced the decision to spin off its Healthcare business segment as an independent company. The move comes on the heels of a lengthy managerial review conducted by GE management under newly appointed CEO John Flannery. GE Healthcare and Roche have entered into a strategic, long-term partnership to jointly develop and co-market digital clinical decision support solutions. Initially, the partnership will focus on products that accelerate and improve individualized treatment options for cancer and critical care patients. Healthcare-solution providers GE Healthcare and Nuance Communications, Inc., have partnered with NVIDIA, a leader in visual computing technologies, for using the company’s deep learning platform to bring Artificial Intelligence (AI) to medical imaging. GE Healthcare has introduced Drawbridge Health, a privately held healthcare technology company, which is developing a people-friendly system to integrate draw, collection and stabilize blood samples into a single device. The technology which integrates engineering and proprietary chemistries is also being developed to support room temperature shipping and streamlined downstream processing, thus ensuring reliable, accurate results. The global surgical imaging market is projected to grow at a CAGR of 5.5% from an estimated value of USD 1.25 billion in 2017 to USD 1.63 billion by 2022, driven mainly by the growing popularity of Flat Panel Detector C-arms (FPD C-arms) owing to the advantages of FPDs over image intensifiers, reimbursement cuts on analog radiography systems, and rising demand for minimally invasive procedures. GE Healthcare has entered into a multi-year, non-exclusive licensing and professional services agreement with DiA Imaging Analysis, a medical imaging analysis software company, for developing automated imaging analysis technology to work with its ultrasound devices. The global handheld ultrasound scanners market is projected to grow at a robust CAGR of 8.8% from around USD 311 million in 2017 to about USD 725 million by 2027 end, driven mainly by the increasing use of handheld ultrasound scanners among non-radiologists and modernization in healthcare, coupled with high investment in research and development (R&D). A partnership between GE Healthcare and Advanced Technology Company (ATC) has been appointed as the key medical technology provider for five new hospitals of Kuwait’s Ministry of Health as part of its strategic healthcare infrastructure modernization plan. GE Healthcare provides medical imaging and information technologies, medical diagnostics, patient monitoring systems, drug discovery, biopharmaceutical manufacturing technologies, performance improvement and performance solutions services. The company’s product areas include anesthesia delivery, diagnostic ECG, mammography, radiography, surgical imaging, maternal-infant care and clinical consumables. 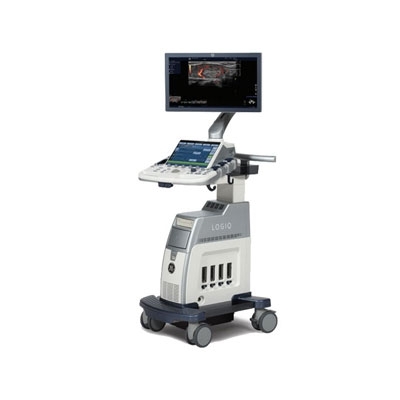 The LOGIQ S8 XDclear portable ultrasound device features a new processing engine, more sophisticated acoustic models and wider portfolio of transducers (nine new probes) for optimized image quality across virtually all patient body types. It provides deeper penetration at higher frequency, to see better in depth, while automatically optimized images and settings deliver images with less keystrokes, from shallow to far field.